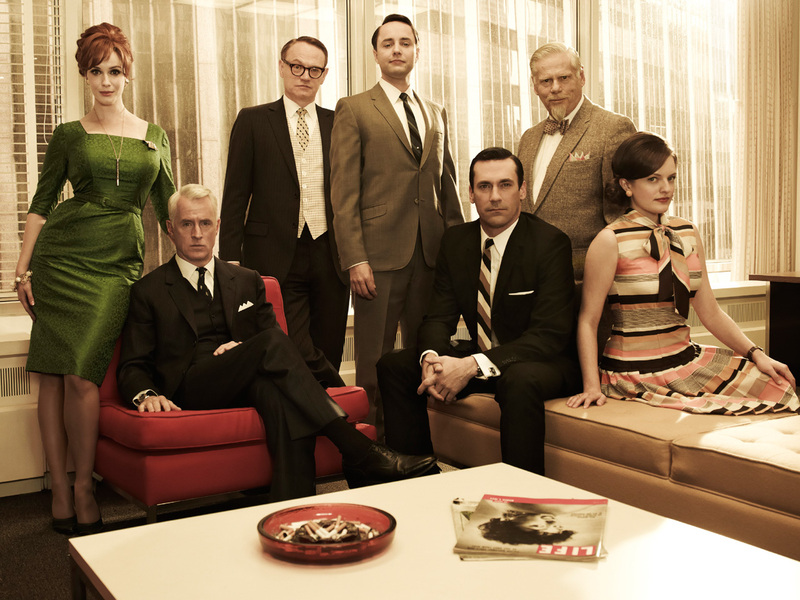 (CBS News) "Mad Men" returns for its fifth season on Sunday, after an 18-month hiatus. For fans, that's reason enough to throw a party. And many of them likely are - getting together with friends or family to welcome back Don Draper, Peggy Olson and the rest of Sterling Cooper Draper Pryce. (For those who don't have it marked on their calendars, the two-hour premiere begins at 9 p.m. on AMC). Melt butter in 2-quart saucepan over low heat (or microwave in large glass bowl). Stir in Tabasco sauce, chili powder and salt until combined. Stir in cashews and cereal squares until well mixed. Thaw pastry sheet at room temperature for 30 minutes. Preheat oven to 400 degrees Fahrenheit. Combine Tabasco sauce, paprika and salt in small bowl. Grease large baking sheet. On lightly floured surface, unfold pastry and roll into a 12" x 10" rectangle. Cut in half lengthwise. Brush one pastry half with Tabasco sauce mixture. Sprinkle with Parmesan and cheddar cheeses. Top with remaining pastry half; press gently to seal. With electric mixer at medium speed, beat butter, sugar, brown sugar, egg, Tabasco sauce and vanilla in large bowl until light and fluffy. Reduce speed to low; add flour. Beat until blended. Stir in chocolate chunks and walnuts. Combine apricot preserves and 1/2 teaspoon Tabasco sauce in small bowl. Place sponge cake cups 3 inches apart on cookie sheet. Brush with apricot mixture. Place 1 scoop ice cream on each sponge cake cup. Freeze until firm. In a large bowl, beat egg whites until soft peaks form. Gradually add remaining 1/2 teaspoon Tabasco sauce, allspice and marshmallow creme, beating until stiff peaks form. Spread meringue evenly over ice cream and sponge cake cups, covering completely. Freeze. Combine ingredients in a mixing tin half-filled with ice. Stir until the tin is frosted. Strain into a martini glass, then add two drops of Angostura Bitters. Garnish with two maraschino cherries on a pick. Combine ingredients in a mixing tin half-filled with ice. Shake until the tin is frosted. Strain into a martini glass and garnish with a lemon twist. Combine ingredients in a mixing tin half-filled with ice. Shake until the tin is frosted and strain into a martini glass. Combine ingredients in a mixing tin half-filled with ice and stir until the tin is frosted. Strain into a martini glass.